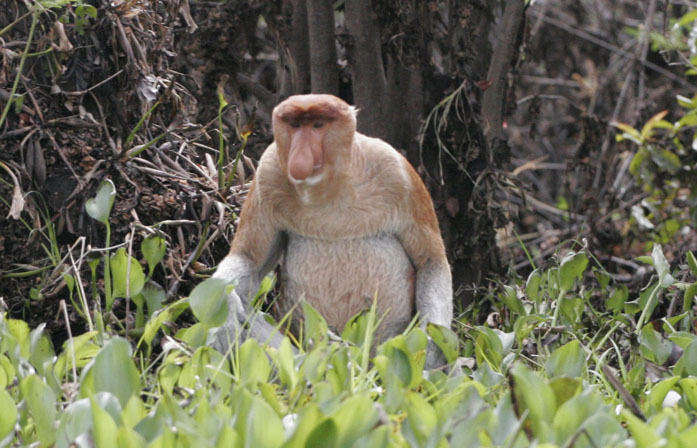 Join us on an original two week tour of the ‘other’ BORNEO — Kalimantan. Over two weeks we will visit national parks and nature reserves, remote Dayak villages, sail the mighty rivers on houseboats, experience the diverse wildlife and birds, and visit the principal cities and towns of this seldom-visited region. All transport within the itinerary, including internal flights. 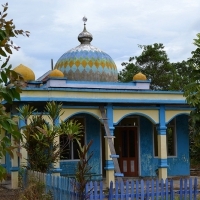 We begin our Kalimantan tour upon arrival at Iskandar Airport of Pangkalan Bun, you will be met by our tour guide and he will be then transferring you directly to small town of Kumai, which takes approximately 20 minutes by car. We will get on small local ferry to cross to the Seikonyer River to reach Small Harbor (15 minutes). Afterwards, we will go onboard our houseboat to reach the heart of Tanjung Puting National Park, the boat trip taking about two hours. Lunch will be prepared onboard while we enjoy surrounding views to see closely Proboscis Monkey’s and a colorful assortment of birds, including hornbills. We may also have a chance to see crocodiles and lizards. Return to the boat for dinner and overnight. Wake up at sunrise to watch for birds leaving their roost onshore for the day, and then have breakfast at the boat. 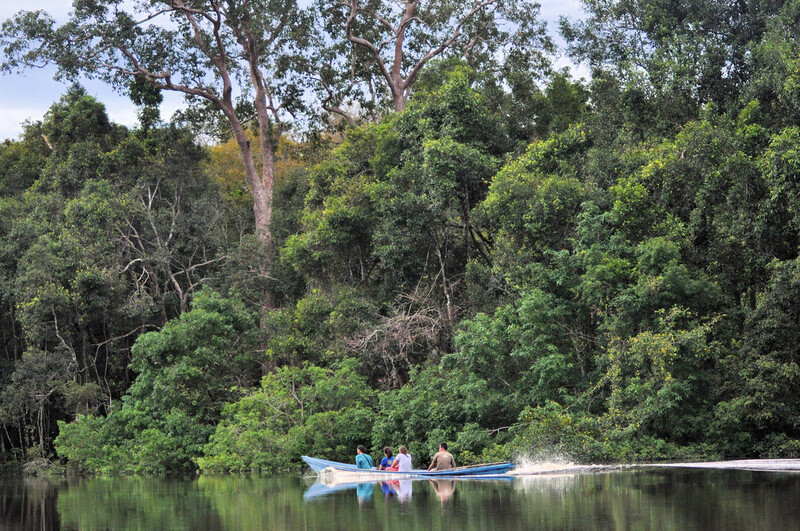 Meanwhile, we will have a one hour cruising upstream to reach Pondok Tanggui Orangutan Breeding Station. You will be able to witness feeding activities of orangutan and watch them play around with their babies. Back onboard, we will continue the tour to Pasalat Forest Rehabilitation at 10am where we can see the re-plantation process of the forest from human destruction. It takes about an hour cruise to get Pasalat from Pondok Tanggui. We will take a walk through the forest to see the heterogenic jungle, and once possibly see some wild animals around. The jungle trekking path is mostly flat and almost all ages can go through; it is about one kilometer and we will spend about two hours in total. Getting back to the boat, we will have lunch while cruising to the next destination: Tanjung Harapan Village. It takes about 20 minutes to reach the village from Pasalat. 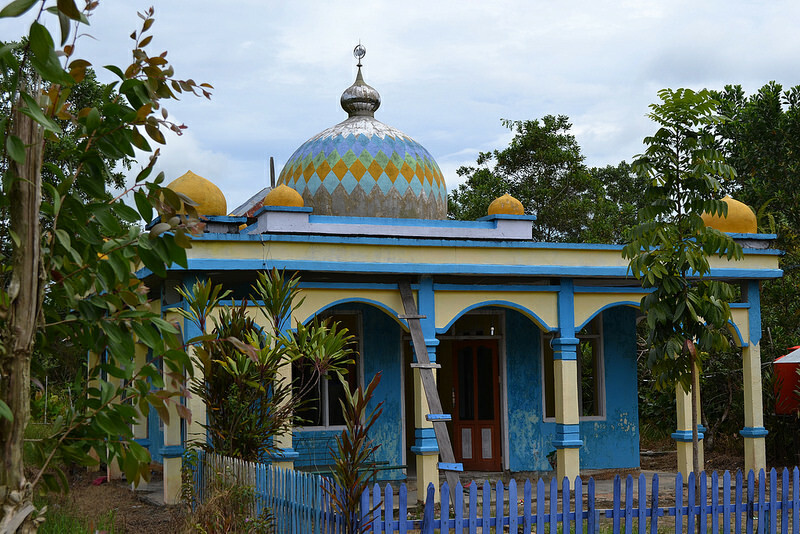 On arrival we will take a short walk through the village where we can see the Malayan and Semi Dayak settlement in the gate of the national park. We will have the opportunity to buy unique, traditional handicrafts from local Dayak people. Leave Tanjung Harapan village to meet Orangutans at the Tanjung Harapan Rehabilitation Camp. The ranger from the camp will take us to see orangutans that are being prepared for release back into the wild. Back to the boat for dinner and overnight. We will enjoy our breakfast as we cruise to the Pelasat Forest re-plantation side. 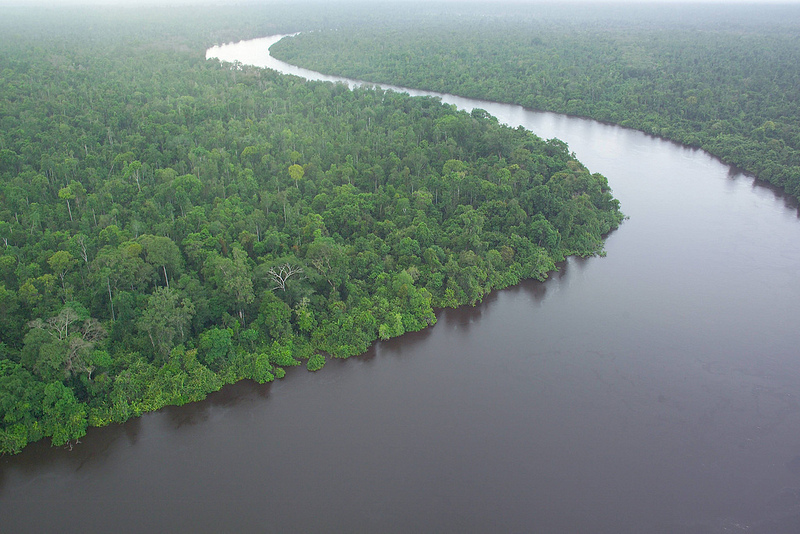 Then we will continue to Tanjung Harapan for sightseeing at a traditional local village of Kalimantan, lightly trekking the jungle over the trails seeing the wildlife and birds. Meals and overnight on board. After breakfast, we will have time to look for more birds and monkeys in this area before our departure by boat downstream Sekonyer River to Kumai and Pangkalanbun airport for our short flight to Balikpapan. Upon arrival at Balikpapan airport, we will be met and transferred to Samboja Lestari National Park. While entering, we pass the lush rainforest over the muddy roads with our 4 wheel drive truck. After check in at The Samboja Lodge, we will take a look from the Observation Tower to have a overview of the Samboja area. Afterwards, we will head to another prime area to see the orangutans and sun bears in their rehabilitation process back in the wild. Lunch and Dinner at Samboja Eco Lodge. After breakfast, we will view an education program at Samboja, visit the re-plantation area and forest around, searching for birds, and then after lunch, head by car to the Black River Mangrove Forest, which is part of Balikpapan Bay. 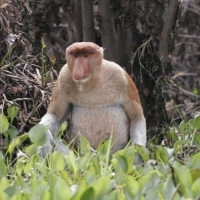 We then will sail Black River Mangrove Forest to search for proboscis monkeys and birds, then return to Samboja Lodge for dinner and overnight. This morning on our Kalimantan tour, we will have breakfast at Samboja Lodge and then some free time to walk around for photos until our transfer to Loa Janan Harbor. 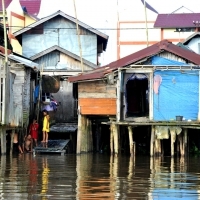 Here we will continue by houseboat for exciting adventure on Mahakam River. Overnight in houseboat. 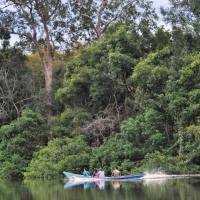 This morning, we will take a tour of the Muara Muntai Wooden Village, then cross Jempang Lake by motor canoe to Mancong. 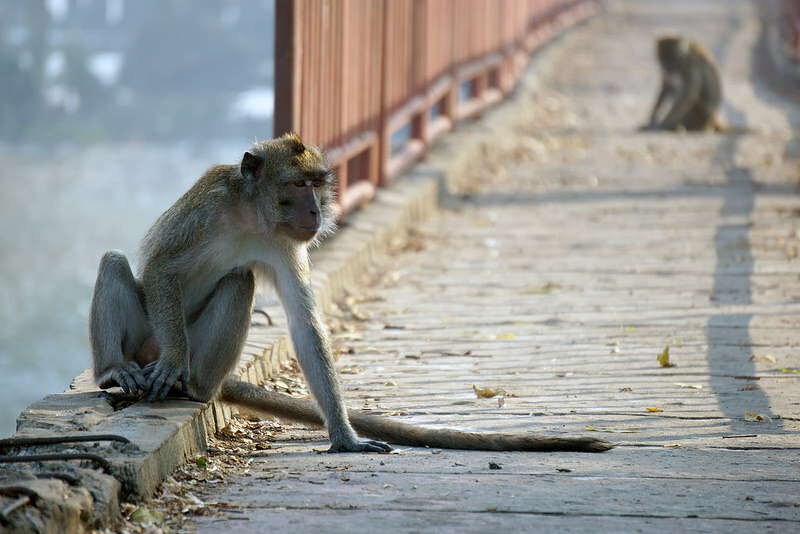 During the cruise, we will see the rainforest and wildlife at Ohong Creek, including various species of monkey’s and birds. Upon arrival at Mancong, we will be welcomed with a traditional ceremony by the Dayaq Benuaq, at one of the oldest Dayak Longhouses of East Kalimantan. In the late afternoon, we will travel by motor canoe to Tanjung Isuy for sightseeing at dusk and continue to our houseboat for dinner and overnight. Overnight the houseboat will be cruising up to Muara Pahu. Arrive at Muara Pahu, cruise upstream the Kedang Pahu River by canoe for more then one hour to Mount Bayan to visit Terbisak Dayak village known for its longhouse of the Benauq Dayak tribe, which is still habituated by about 100 Dayak people living in their community house, using age-old traditions of dry rise fielding and hunting. 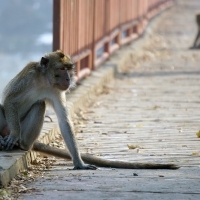 Then we will continue downstream by canoe, along the river bank, where we will enjoy the exotic nature, and wildlife such as otters, leaf monkeys, endangered proboscis monkeys, and many colorful and exotic birds. 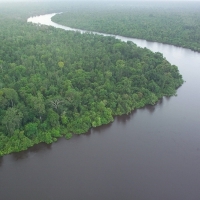 We then will move to the delta of the Belowan River, with opportunities to spot the freshwater dolphins in the colliding stream of the Kedang Pahu and the Bolowan River. 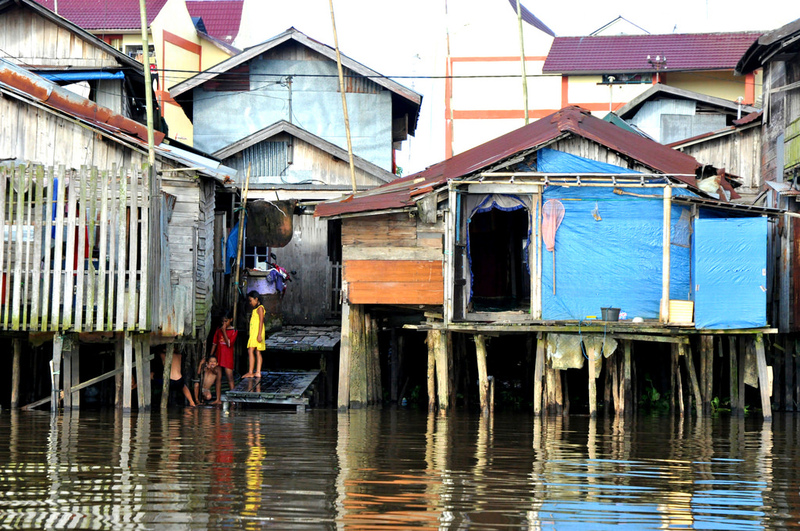 In the mid-afternoon, return to houseboat for dinner and continue downstream to Tenggarong. Arrive at Tenggarong, where we will visit the former palace of Sultan Kutai Kertanegara. Here we will see the Sultan’s impressive collection of heirlooms, ceramics, Dayak’s art and cultural items, until our departure to Balikpapan airport for your onward flight to Tarakan. Upon arrival at Tarakan, transfer to hotel for dinner and overnight. This morning we drive to the harbor to board a speedboat for our trip to Malinau (3 hours), on the way we may see more freshwater dolphins and long-nose proboscis monkeys along the delta of Sesayap River. Upon arrival at Malinau, we will continue our trip (if water-level is high enough) by motorized canoe upstream Sesayap River to Desa Setulang, otherwise overland by car to Desa Setulang. Upon arrival at the village, short sightseeing and overnight at a lodge. We will spend two days experiencing the traditional life of the Dayak Tribes at the village, one of the highlights of our Kalimantan tour, and spend our time lightly trekking around the tropical forest, spotting monkeys, hornbills, and various kingfishers. At the hills, we will have a beautiful view of the forest around us. Overnight at lodges. After breakfast we start our trip downstream to Malinau by motorized canoe, from where we continue to Tarakan. We will have a final opportunity to see the rich bird and wildlife of the region. Overnight at hotel. After breakfast, we will have some free time at leisure until our departure time for our onward flight to Balikpapan to connect to your next destination. End of Kalimantan tour.